The villages, draped in white, cannot be spotted from a helicopter. Residents are forced to sit at home what with hundreds of avalanches wreaking havoc on public and private properties. In any case, roads are covered with snow and vehicles are buried deep under, there is no nowhere to go. Temperature has plunged below minus 10 degrees Celsius. 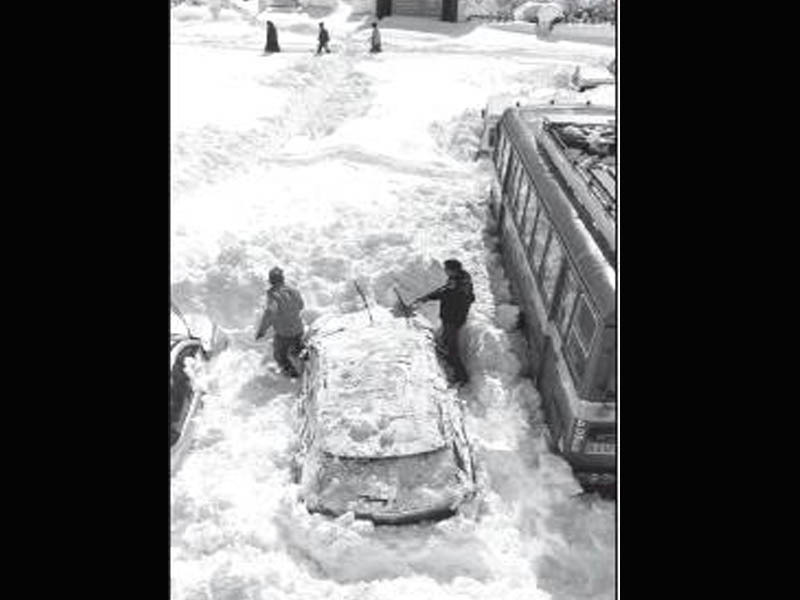 Lahaul-Spiti district of Himachal Pradesh seems to have entered the Ice Age. Still some time to go, but am going to Tirthan valley and kinnaur from May 12-25. Given that this year the winter season is quite extended, what sort of weather should be expected in those areas. I believe that roads would be good to go by then and snow would have melted from the road-side, but we may get some around the area. Was planning to do short treks to Sangla Kanda, chakka kanda and some others in Tirthan valley.Would that be ok, or we may have to keep the plans a bit flexible. Also, does it rain around May in the region? It should be doable by then, all the treks. Do not expect any snow in the area, except for some freak weather condition around the time of your visit. Manali and Kufri shivered at sub-zero temperatures on Tuesday after fresh snow at several places and light to moderate rain in Himachal Pradesh, the meteorological department said. Manali in Kullu district, Kufri in Shimla district and Dalhousie in Chamba district received 9 cm, 3 cm and 2 cm of snow, respectively. 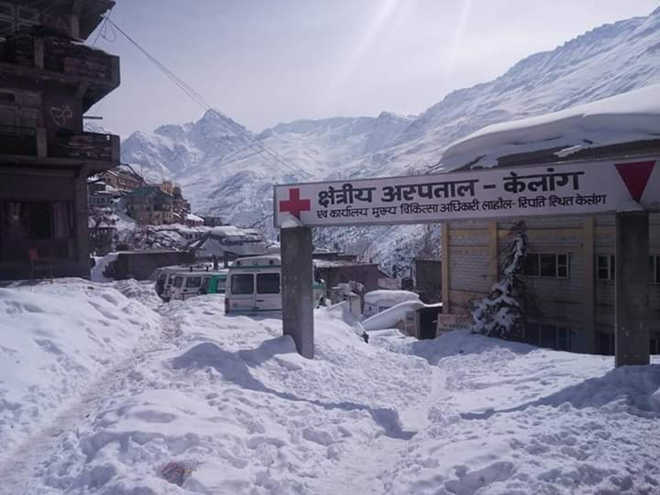 Keylong area of Lahaul and Spiti and Kinnaur’s Kalpa witnessed 15 cm and 24 cm snow, respectively from 5.30 pm on Monday to 8.30 am on Tuesday, the Meteorological Centre, Shimla, said. Biting cold wave conditions further aggravated in Himachal as tribal areas and other higher hills received fresh snowfall while severe storm lashed mid and lower hills accompanied by rains and sleet. 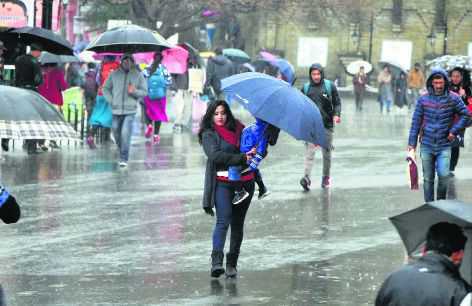 Icy winds accompanied by sharp showers lashed state capital Shimla forcing people to stay indoors while adjoining tourist resort of Kufri received light snowfall. Higher reaches in Lahaul & Spiti, Kinnaur, Chamba and Kullu received fresh snowfall while lower hills of Mandi, Bilaspur, Hamirpur, Kangra and Solan had widespread rains causing sharp fall in temperature. Bad weather has hampered the snow-clearing operation in Lahaul-Spiti district on Monday. The Border Roads Organisation (BRO) performed a puja at Stingri near Keylong to start the operation. But the weather turned hostile and it started snowing in the region, preventing the BRO from starting the operation. 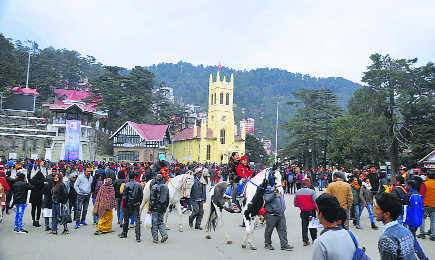 Popular tourist destination Dalhousie witnessed sub-zero temperatures on Thursday following fresh snowfall in the higher reaches of Himachal Pradesh, while other parts of the state saw light rain, the Meteorological (Met) Department said. The minimum temperature in Dalhousie of Chamba district was recorded at minus 0.1 degree Celsius as it received 5 cm snowfall from Wednesday 5.30 pm to Thursday 8.30 am, the Met centre in Shimla said. The tourist season is about to pick up in the next couple of weeks. Those associated with the tourism industry are hopeful of a brisk business. But there’s something they are worried about this time — the broken Dharamsala-McLeodganj road. A day after the higher reaches of Himachal Pradesh got moderate snowfall, the state capital Shimla and nearby tourist spots on Monday woke up to sunny weather. However, temperatures were below sub-zero at several places. 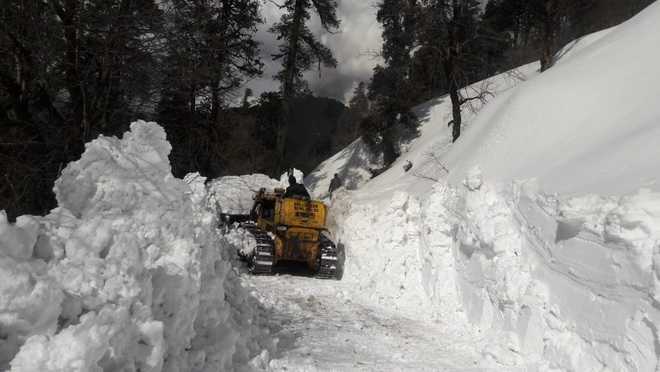 MANALI: While the continuing snowfall is adding to the thickness on the strategically important Manali-Leh highway, Border Roads Organization (BRO) has started its snow clearance work on the highway in multiple stages to meet the target of May end. This year saw heaviest snowfall in many years and this has already delayed the road opening task by over two weeks. BRO officials said that they would set a deadline to clear the roads completely off snow after March 23, as weather is predicted to be favourable after this and the team would get a chance assess the ground situation. 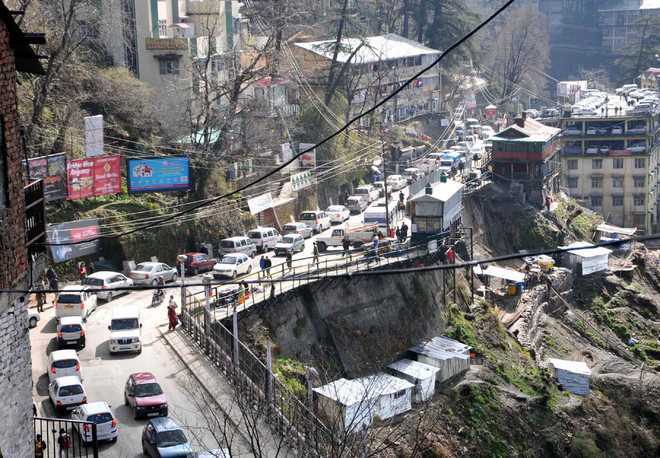 MANALI: After a massive landslide blocked Manali-Rohtang highway near Nehru Kund, 7 km from here, on Monday, caving in of the road near Manali town has also blocked the highway on Wednesday. This will take a few days for the highway to open for vehicular traffic. Tonnes of debris have badly damaged the highway near Nehru Kund. About 100m stretch of the highway has become dangerous due to landslides here. The whole portion is sliding after Border Roads Organization (BRO) had held excavations to widen the highway a few years back. Since then, the area is sliding regularly and dozens of trees too have collapsed. On Monday too hundreds of people, mostly tourists, had a narrow escape when the mountain collapsed. The highway is blocked since then. I want to know that is there any Bus or Jeep service available from Kalka to Shimla? From Kalka railway station, there are shared autos (5 mins or so) to the highway from where one can board Chandigarh - Shimla buses (and once in a while, some empty cab going back to Shimla taking passengers on a per seat basis). There are cabs available for full booking as well. If you can find a group of passengers going to Shimla in the train, then can book a full cab from the station. If going by bus, it's better to alight at Chandigarh, and get to ISBT for seat availability in buses. There are no shared jeeps on this route. Prefer Kalka only for the toy train route. can you please tell me that how much they will charge for full cab booking? How much time will taken to reach Shimla from Kalka and Chandigarh? As it has been suggested it is better to noard a but at Chandigarh since those passing through Kalka have many times filled up already earlier and you might be at the mercy of the driver if he stops or not. Frome C'garh it could be about three hours but in case of any obstacles may take much longer. The hills of Himachal Pradesh on Saturday saw a marginal rise in the temperatures, but the Met Office has forecast chances of rain and snow in the coming week. “There are chances of more rain and snow in the state on March 25 to 26,” an official with the India Meteorological Department here told IANS. He said the western disturbances--storm systems originating from Caspian Sea and moving across the Afghanistan-Pakistan region--would be active in the region again. Keylong in Lahaul and Spiti district was the coldest place in the state with a low of minus 3.2 degrees. 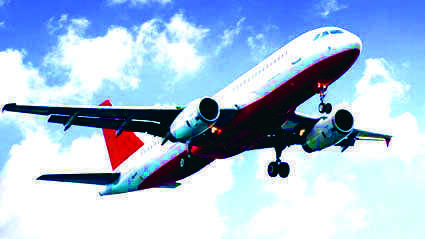 The national carrier Air India has increased the fares for the Kullu-Delhi sector for the upcoming tourist season. While earlier the maximum fare was nearly Rs 20,000 for one-way journey now the fare will be around Rs 23,000 from the month of April. The seats were generally available for the highest fare in the month of April and onwards. Mandi: The NHAI has restored 10,800-ft high Jalori Pass on the Aut-Luhri-Sainj highway in Kullu district to traffic last evening. The pass had been closed since January 6 because of heavy snowfall in the region.